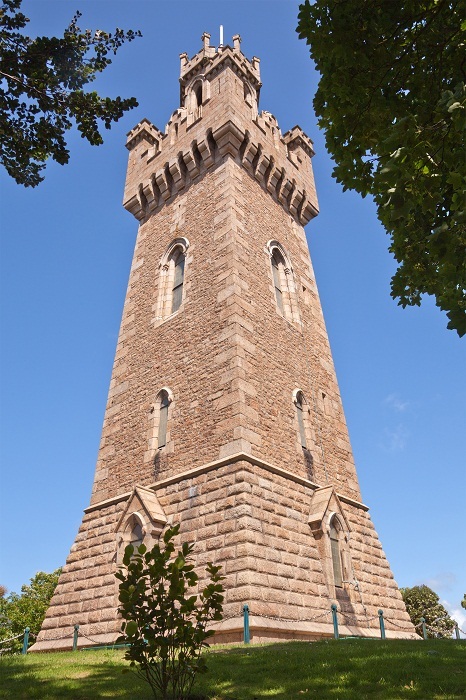 Victoria Tower is a monument erected in the capital city of the Crown Dependency of Guernsey, to commemorate the visit of Queen Victoria and Prince Albert to the island in 1846. As it was the first official visit to the island by any reigning monarch, a small granite stone was laid to mark where the queen had first stepped ashore in St Peter Port harbour. 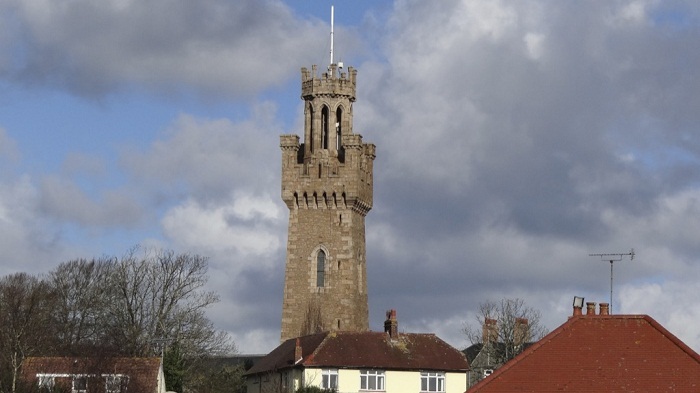 The following year, the architect William Colling was asked to draw up plans for a tower to commemorate the monarch’s visit. 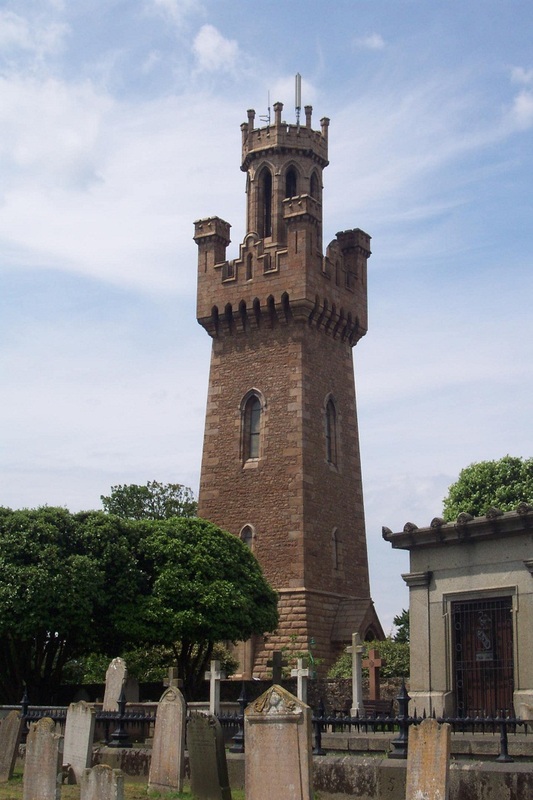 As Colling was inspired by the medieval Italian buildings such as the Palazzo Pubblico in Siena in order to suggest the ideas of prominence and majesty, he designed the tower with different types of stonework and architectural features which were designed to represent the Queen, her empire and her achievements. The groundbreaking was on 27 May 1848 with a large ceremony which included a procession from the Assembly Rooms to the site, as well as many inhabitants from around the island. 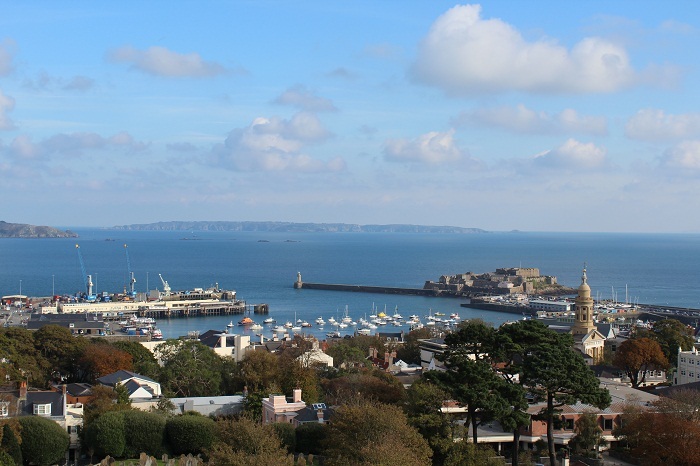 After the completion of the tower, which back then costed around £2,000, a public garden was created in which were placed two cannons captured from the Russians during the Crimean War, which today sit in the Castle Cornet. Years later, other guns were displayed in the garden, but these were scrapped or buried as the Second World War approached, so that the invading German forces would think the island was not fortified. Two German guns that were buried, after the Second World War in 1978 were excavated and today they are back in the garden. 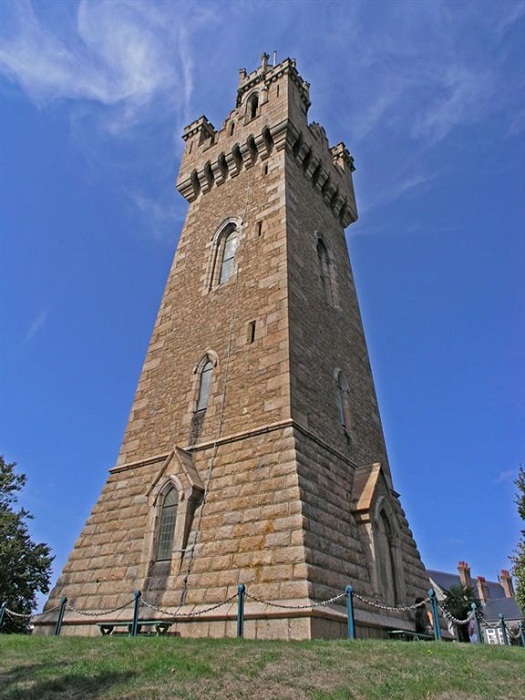 The tower is built largely of red granite from the Guet quarry at Cobo, on Guernsey’s west coast, with square design, fortified parapet and angled turrets. 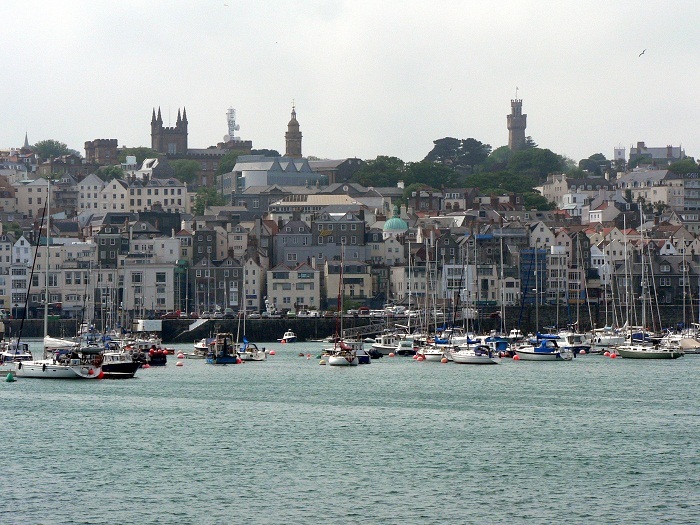 The whole structure is crowned, almost quite literally, with an octagonal lantern topped with a coronet, from where it offer quite spectacular views across St Peter Port and the north of the island. 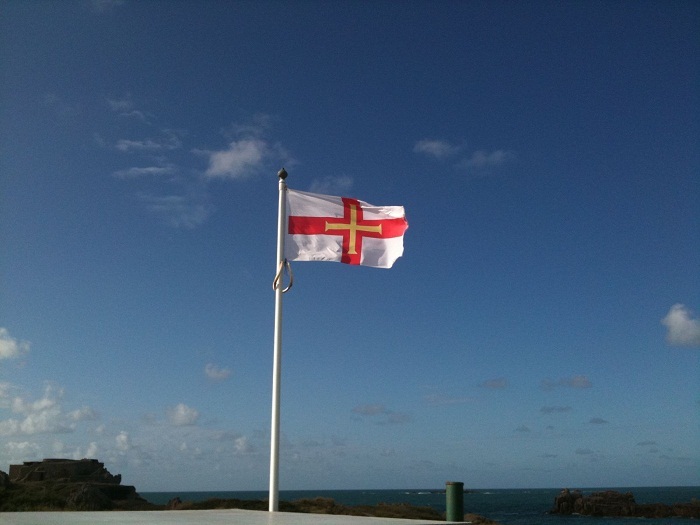 Truly, a magnificent piece of art for which the inhabitants of Guernsey can talk about to every foreigner visiting the island.